JohnnieFromTheBlog – A book to make you stronger! A book to make you stronger! 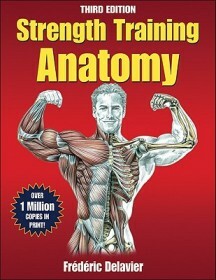 A colleague of mine recommended me reading “Strength Training Anatomy” by Frédéric Delavier. I am not much of a book worm but I am very glad I took his advice. This book covers techniques and step-by-step instructions how to execute hundreds of exercises as well as muscle anatomy theory and how to prevent injuries. In this 3rd edition copy you’ll find over 600 very well detailed anatomy and exercise pictures all with the original Latin names for every muscle. This book will be my trustworthy companion and I want to recommend everyone to read this before setting your foot in a gym! ← B&W discontinues the XT-series?